I read Me Before You by Jojo Moyes last summer and finished it within a couple of days. Last week I passed the sequel in the library and picked it up for the long weekend. By chapter five or six I gave up. I just couldn’t get into it. Disappointed, but moving on. Perhaps I’ll come back to it in the future. Hey Clarke, he said, tell me something good. 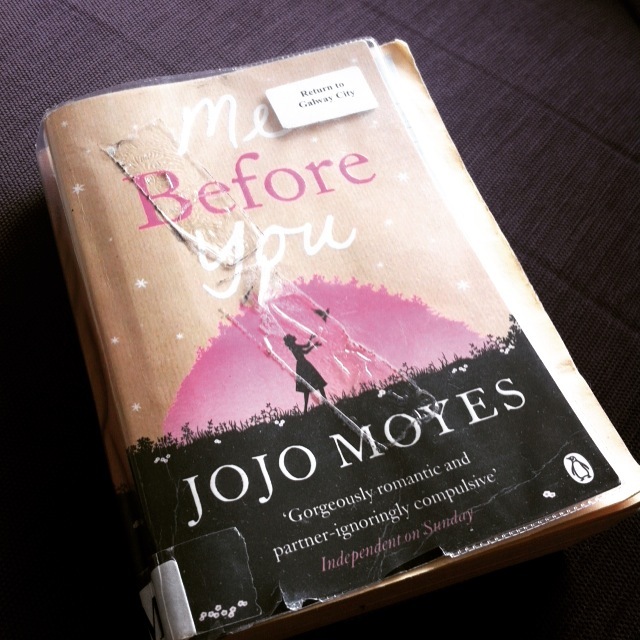 I’m on holidays at the minute, and had watched Giovanna Fletcher’s vlog about Me Before You (See here:https://www.youtube.com/watch?v=HAvPTX0c57w) I was intrigued so decided to get it out of the library. I started it in the afternoon and had finished it the following morning. It’s one of those ones – once you start you can’t stop. Definitely recommend it.